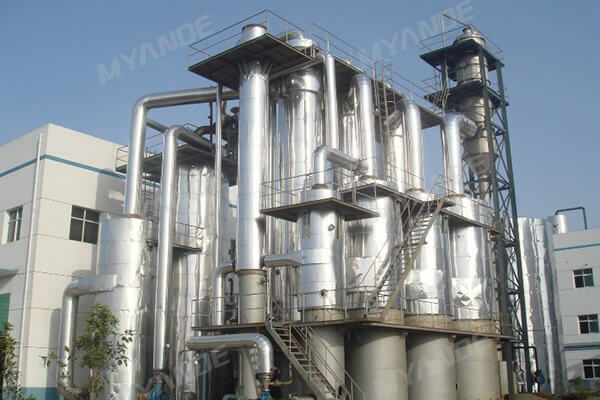 Falling Film Evaporator For Sale | Myande Group Co., Ltd. The liquid material to be concentrated is pumped into the top of the heating tube and flows down along the inner wall of the heating tube to form a liquid film. In this process, due to the heating outside the tube, liquid film inside the tube begins to boil and partially evaporate. In the lower part of the column and downstream separator, the remaining liquid and steam are separated. 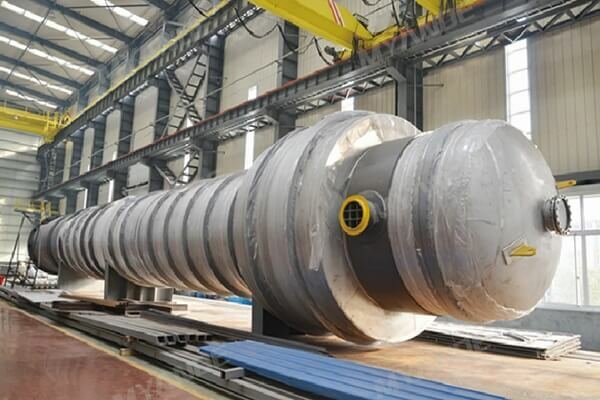 The flow of material in the tube will be determined reasonably to avoid drying tube at the bottom, at the same time to ensure the thickness of the liquid film, to obtain the best heat transfer effect and the minimum power consumption. 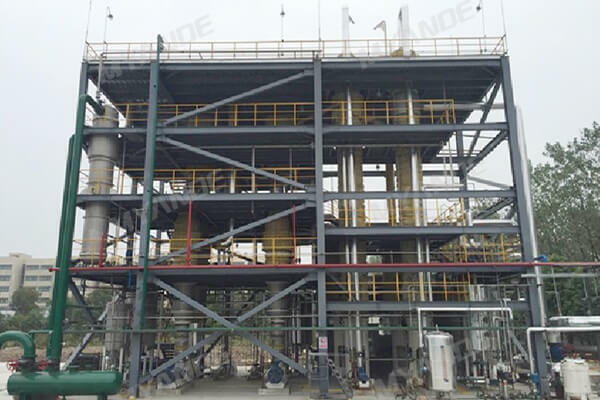 Falling film evaporators can perform both cycle evaporation and single pass evaporation. - The largest capacity per unit up to 200t/h. - Suitable for heat-sensitive materials. - Suitable for materials with low concentration, low solid content and non-scale. - High heat transfer coefficient, small temperature difference, vacuum evaporation. - The material maintains a suitable boiling state in the heat exchange tubes to avoid drywall and scaling caused by severe vaporization. - No loss of boiling point temperature difference caused by the liquid column, low circulation volume, low power consumption.